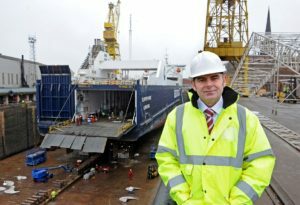 Merseyside-UK based shipbuilding and engineering company Cammell Laird is announcing a series of changes to its senior management team to support ambitious growth plans. 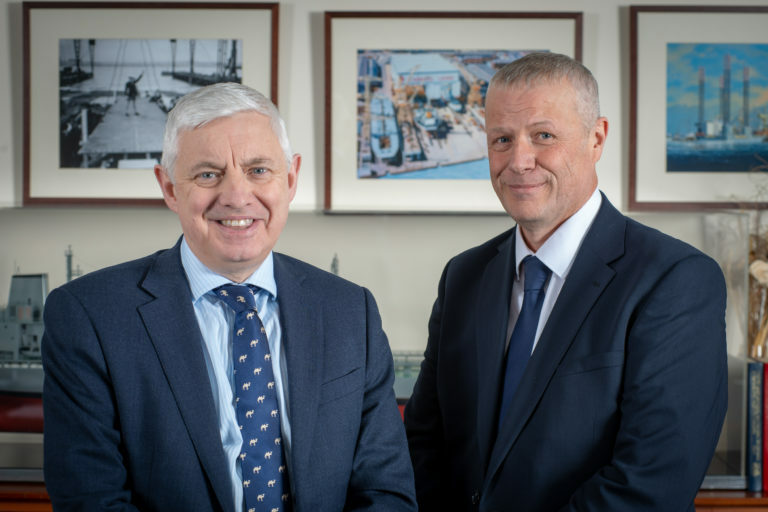 The restructure sees company founder and CEO John Syvret CBE extend his role to executive chairman, Tony Graham, meanwhile becomes chief operating officer having led Cammell Laird’s Type 31e bid and Paul Owen joins the company from the defence industry to become managing director. Linton Roberts takes up a new role as group technical director sales and marketing. Mr Syvret said the newly strengthened team will enable the company to maximise its potential as one of the world’s leading shipbuilders. 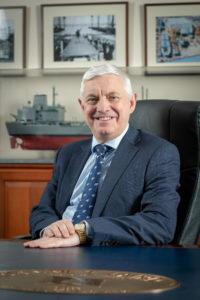 Tony Graham joined Cammell Laird from his role as Constructor Rear Admiral and head of ships for the UK Ministry of Defence in 2017 where he led a team of 1200 people and a budget of £2billion. Tony said he was attracted to work at Cammell Laird by its ambition and commercial culture. 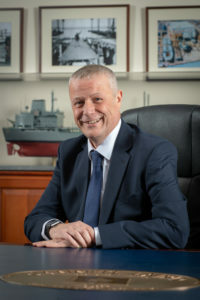 Paul Owen, aged 50, meanwhile, joins Cammell Laird after spending 20 years in the naval, marine and defence industry working for Rolls Royce, Thales and Ultra Electronics in managing director, business development and technical director roles mainly in the North West of England. Founded in 1828, Cammell Laird is one of the most famous names in British shipbuilding and is based on the River Mersey at Birkenhead. The site covers 130 acres and includes four dry docks, a large modular construction hall and extensive covered workshops. It is also at the centre of a marine and engineering cluster with easy access to support services classification societies and port state authorities. Today, Cammell Laird is rapidly expanding as a cutting-edge engineering services specialist with a highly skilled workforce and extensive world-class facilities to support a broad range of sectors and projects. The company has also continued to develop its capability in the marine sector, and is a world leader specialising in military ship refit, commercial ship repair, upgrade and conversion and shipbuilding.